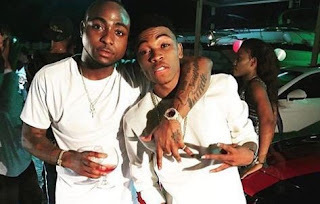 Davido jovially teased Mayorkun of ignoring him now because he has become a star in the Nigerian and African music scene. You i no even know where you dey dey again sef, you no even dey call me, you don free me oo, you don blow you don free me. Mayorkun was signed by Davido in 2016, since then he has turned out to be a star. His debut single was “Eleko” which became an instant hit. Mayorkun has couple of Hit Records to his name which includes “Mama,” “Sade,” “Love You Tire” and others. He had sold out shows both in Nigeria and outside Nigeria and currently getting ready for his major headline show billed for November 2019 at the prestigious Indigo at the O2. Mayorkun also already has an album to his name; “The Mayor Of Lagos (TMOL),” which he dropped at the end of last year.